Forming global communities to protect the environment. 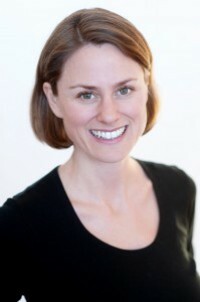 Ashoka Fellow Shannon Dosemagen invented do-it-yourself environmentalism. Her organization Public Lab uses inexpensive materials and MacGyver-like tools to make it possible for anyone to explore and monitor environmental hazards like pollutants in their communities. Her inspiration for helping every person contribute to preserving the environment started in her teens. Before even completing high school, she started a freshwater ecology course for city kids at the Urban Ecology Center in Milwaukee involving kayaking, plant identification, and rock climbing. The course offered kids in urban environments a rare exposure to the natural world and is still offered some 15 years later. She continued along this path of young changemaking and in her late teens and twenties, Shannon created and ran a community center for young people called Urban Patrons Reclaiming our Culture. So, when the BP Deepwater Horizon oil spill happened in 2010, Shannon was prepared. She knew that she and other New Orleans residents needed to take matters into their own hands. She also knew exactly what to do because her changemaker path had been maturing since she was a teenager. She began working with communities to develop their own tools to track the environmental fallout, and press for corrective measures. The result has been turning thousands of citizens – many without any prior understanding of environmental issues – into changemakers and active contributors to the protection of our planet.